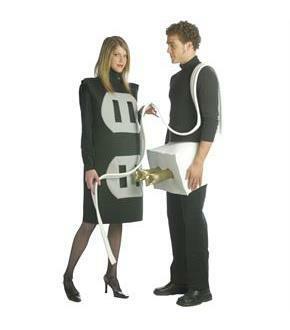 Includes: Black and Gray socket costume AND White plug costume with cord. These costumes are made of a lightweight durable fabric over Denur foam. Socket Costume is a Black tunic with gray sockets on the front. Bottom socket has flap openings for prongs from plug costume to fit into. Plug Costume is a White foam plug piece (goes all the way around) with an elastic waist band and an open bottom for easy walking/dancing, with a White foam cord (approximately 10 feet long) attached in back and two Gold fabric prongs (approximately 8.5") in the front (pants and shirt not included). 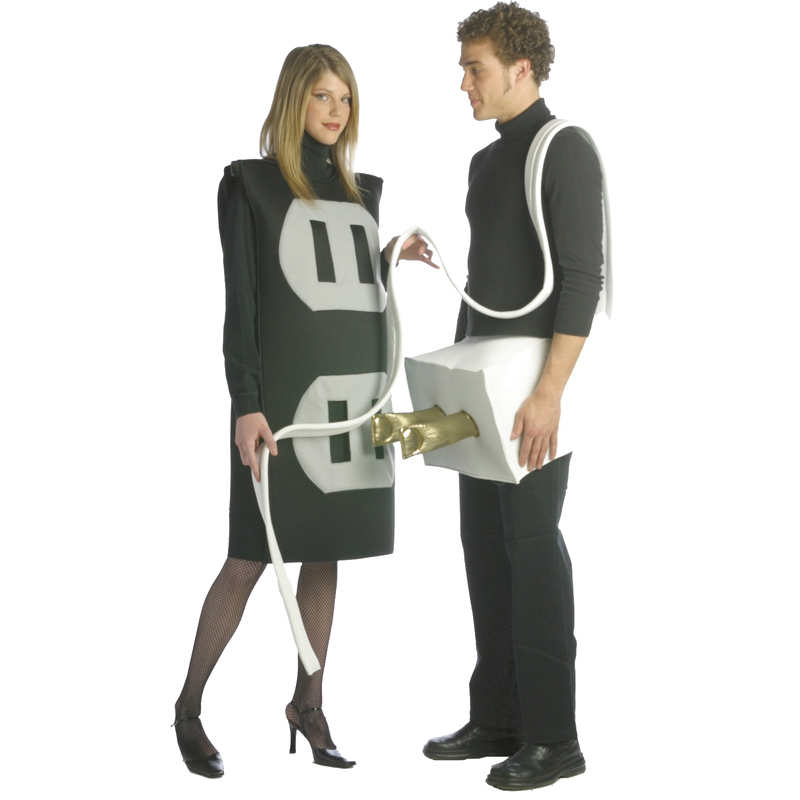 The plug is a foam "box" style costume that comes out approximately 5" in the front from the waist band (not including the prongs), 1.5 inches in the back, and less than 1" on each side. Available in one size fits most adults, sizes Large/X-Large.